Many industrial facilities do not allow the use of aerosol products. Due to these environmental concerns, we have developed an alternative option with our Super Lube® Metal Protectant and Corrosion Inhibitor Non-Aerosol Spray. It is ozone friendly and does not contain CFCs (Chlorofluorocarbons). 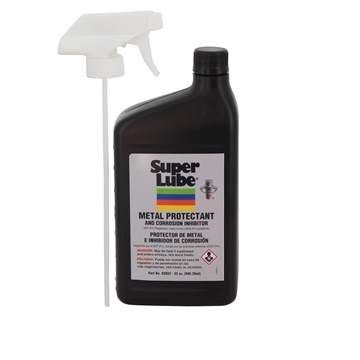 Super Lube® Metal Protectant and Corrosion Inhibitor provides long-term protection against rust and corrosion on any metal surface. It is non-drying, will not harden or crack and is ideal for preventative maintenance in high humidity environments. Super Lube® Metal Protectant and Corrosion Inhibitor is an NSF registered Food Grade lubricant, rated H1 for incidental food contact and meets former USDA (H1) guidelines. 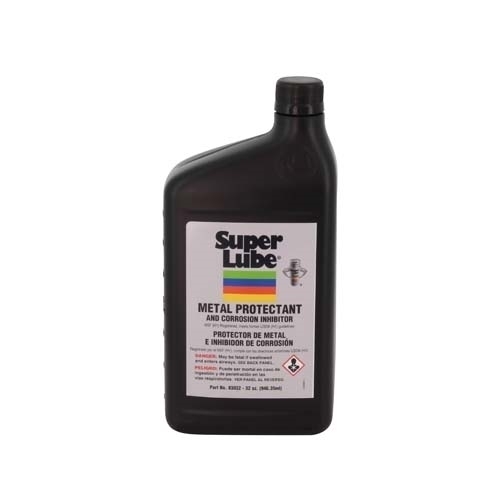 Super Lube® Metal Protectant and Corrosion Inhibitor is Kosher Certified.